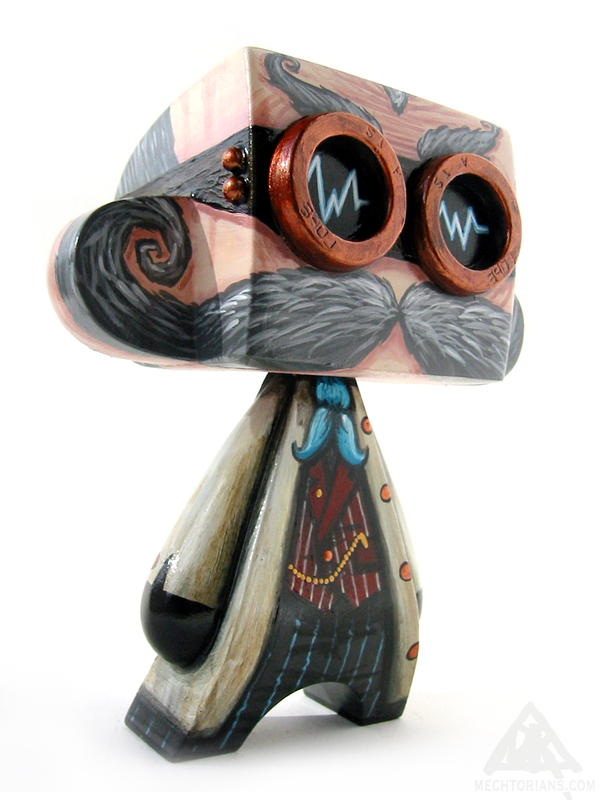 Teslastein was another acquaintance of Professor Whistlecraft back on Earth. He was always an eccentric fellow dabbling with the recently discovered force of electricity. 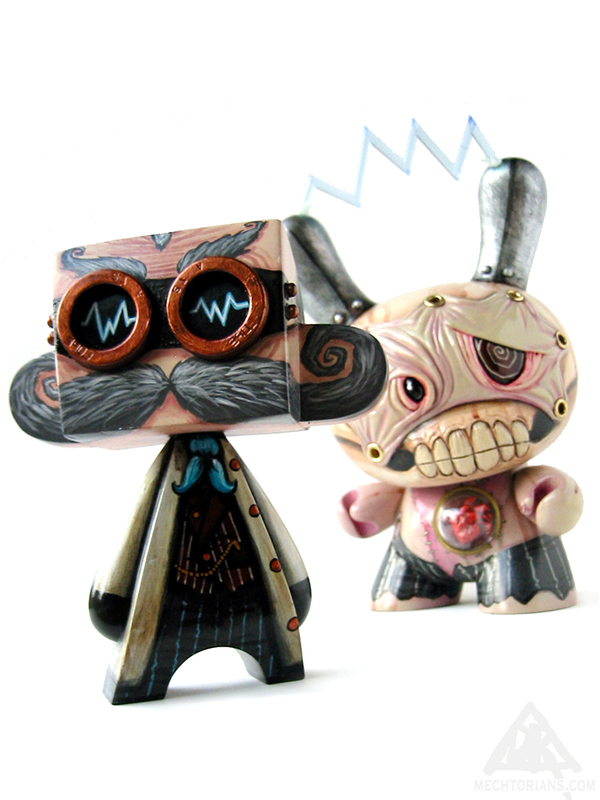 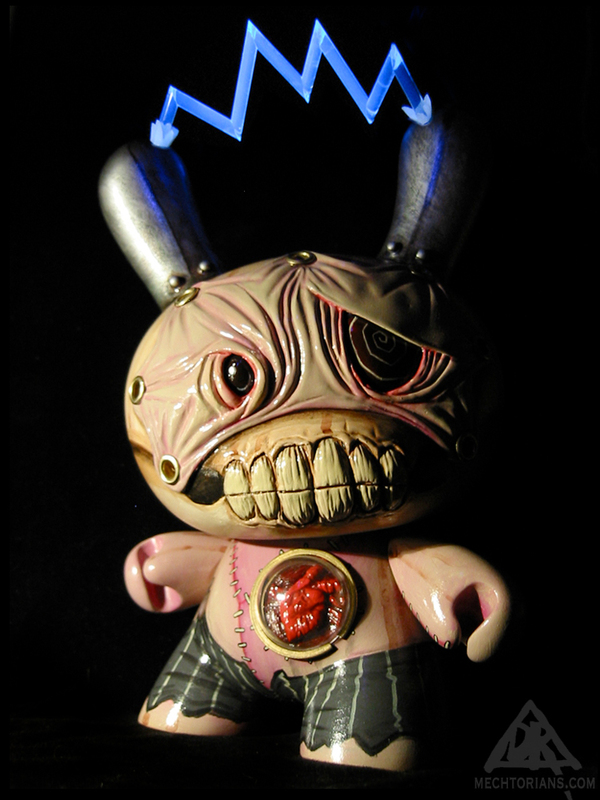 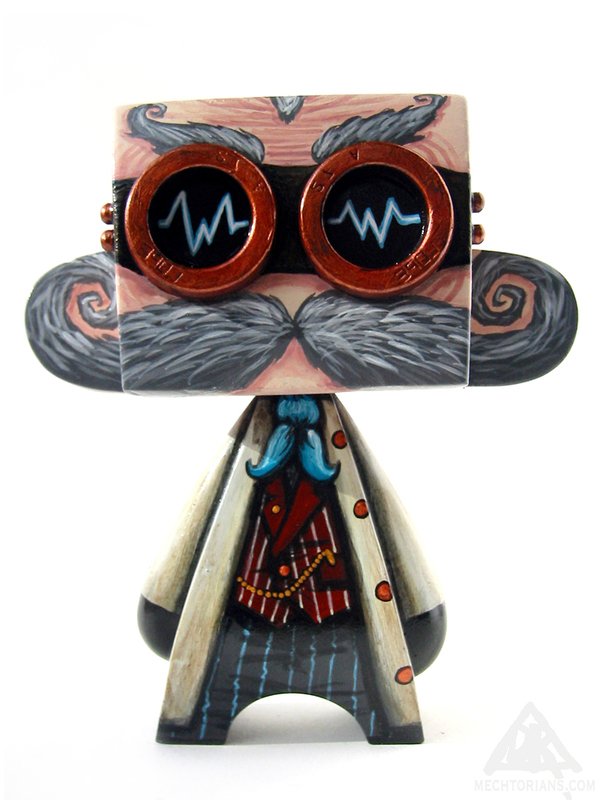 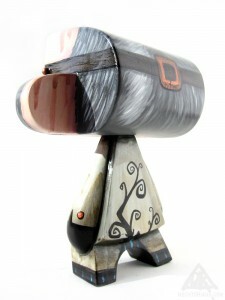 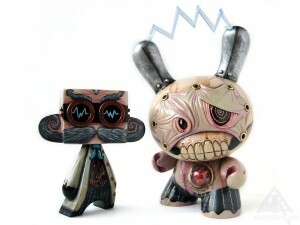 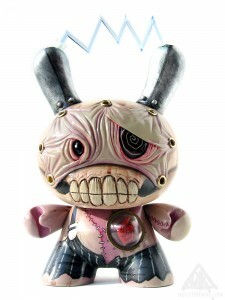 But when he moved away to a remote castle in Romania and began experimenting with unwholesome electro/biological creations he was no longer welcome at dinner parties..
Customised Madl toy and Dunny toy by Kidrobot. Vinyl, Plymer Clay, Acrylic, Lead, Found Objects. 5″ tall and 9″ tall.